I was excited to visit the grand opening of Indigo’s new flagship store at its new Robson Street location, launching not only the start to our holiday shopping season, but also the world’s first cultural department store for book lovers and one of Canada’s pre­eminent retailers. 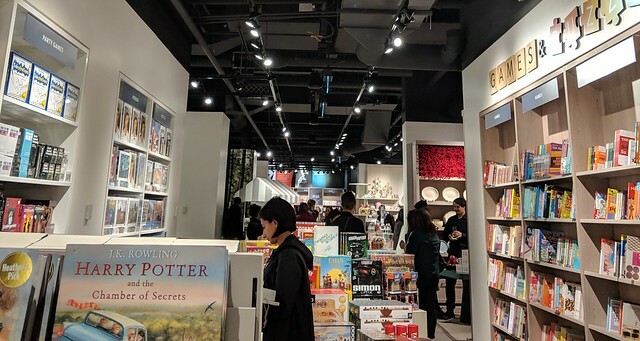 “We are thrilled to be back on Robson Street to share our new retail concept with our passionate customers,” said Heather Reisman, Indigo CEO and Chief Booklover. Visiting the new Indigo location brought back memories of their former location a few blocks down the street. The former location closed in January 2015, as the lease increase meant having the store in the same location would be unprofitable for the brand. I remember tucking into the bookstore and wandering through its three former floors to browse through books for school and gifts for friends and family. 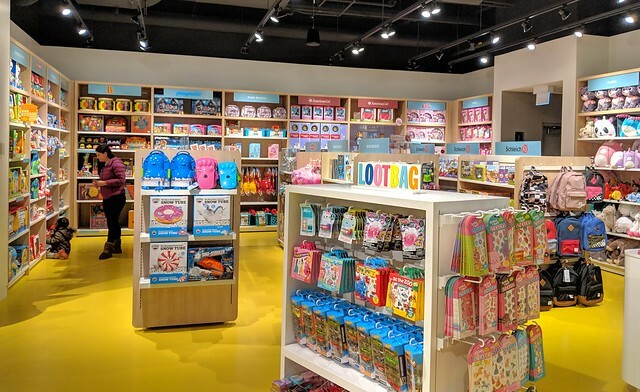 CEO Reisman opened the first Indigo location in 1997, bringing a lifelong passion for books to the retail environment with the goal of creating a cultural department store for book lovers. In 2001, Chapters and Indigo officially merged to form the largest book retailer in Canada. 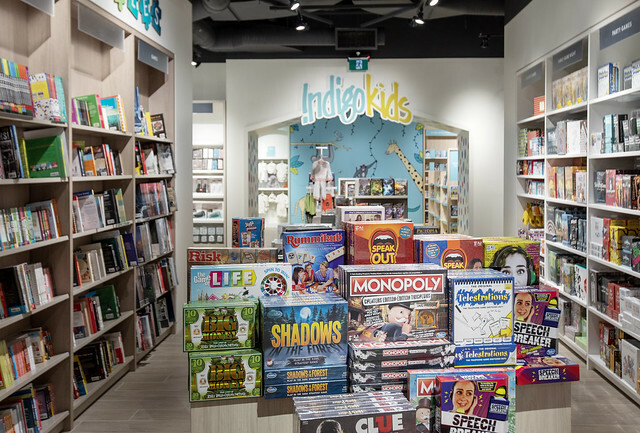 Since then, Indigo has grown to over 200 locations in Canada under the banners Indigo, Chapters, Indigospirit and Coles, while continuously evolving its offerings and experience. 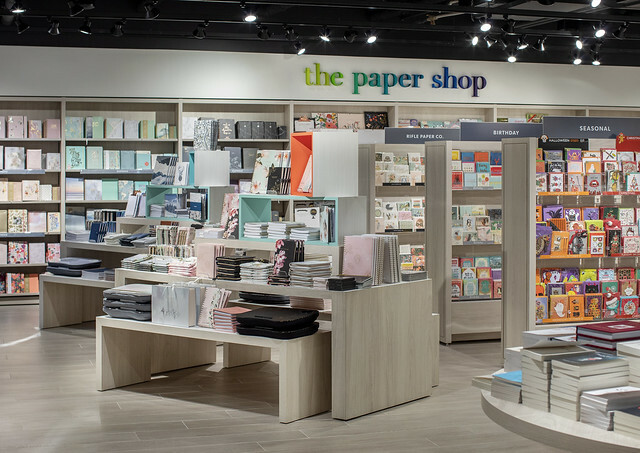 During the grand opening, we were welcomed at the main entrance with a live jazz band, shelves of best-selling books and a wide array of beautiful paper novelties such as journals, greeting cards and notebooks. Taking the escalator up to the second level is like being transported through the forests of the Pacific Northwest. 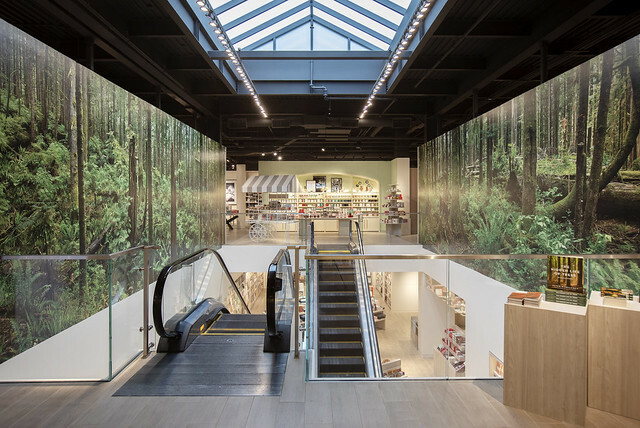 The walls by the escalator feature a photography installation by celebrated Canadian photographer Edward Burtynsky, showcasing the stunning ancient forests in Avatar Grove, Pacheedaht First Nation Territory, near Port Renfrew in British Columbia. grandest ancient forests on Vancouver Island remaining, only 6% of these forests are protected in parks — the remainder is at risk of being logged in a few short years. Dedicated to this cause, Indigo and Edward Burtynsky are committing $25,000 each to the Ancient Forest Alliance, a non­profit organization working to protect BC’s endangered old ­growth forests to ensure a sustainable, second-growth forest industry. Indigo Robson is organized into a shop-within-a-shop concept, including Books, Wellness, Joy of the Table, A Room of Her Own, Home Beautiful, IndigoKids and IndigoBaby. With books at the heart and soul of Indigo, the Vancouver flagship will contain over 58,000 unique book titles. 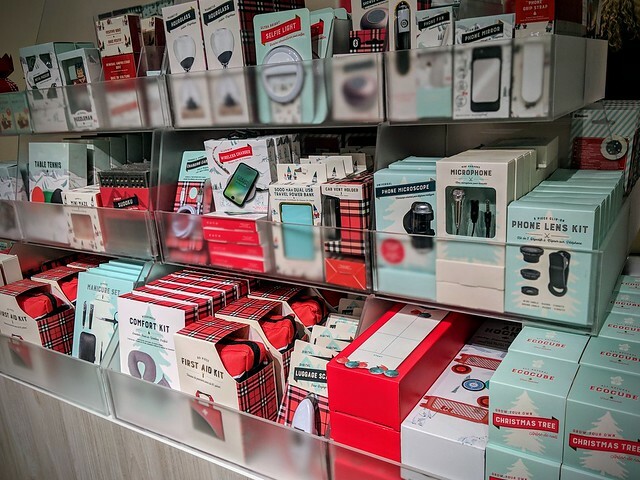 Customers can also access an unlimited selection online through in-­store kiosks, including online exclusive items which offer free shipping of all items to store with no minimum spend (plus free returns). 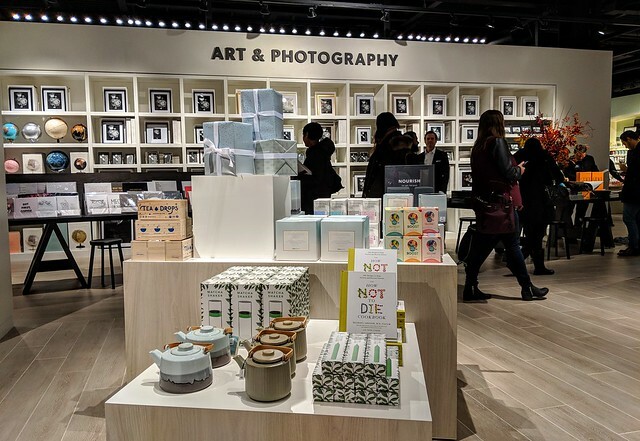 Even though the grand opening was packed with guests, it still felt warm and spacious amongst the vast selection of beautiful gifts and toys, lifestyle products and of course books. I like how the redesign of the store space is welcoming to shoppers with different interests. 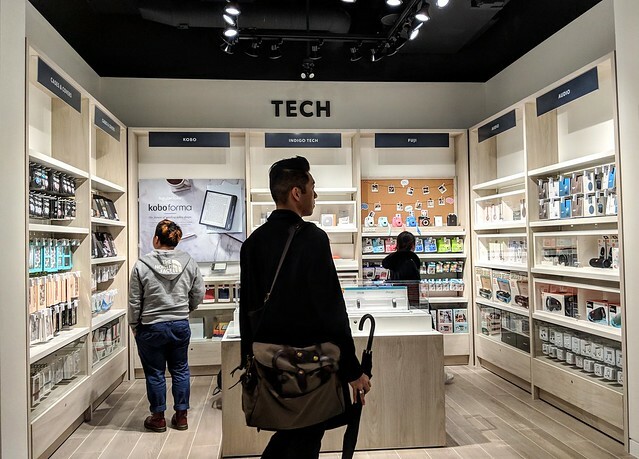 Dedicated nooks and sections help lead shoppers to books and products focused on reading, wellness, cooking, kids, art, games and other lifestyle interests. For my nephews, I contemplated between educational books relating to math and writing or a new silly game for us to play when I visit them. And for the holiday season, I found the cutest little stocking stuffer and gifts tying in the themes of good ol’ Canadiana fun during the holidays designed by Indigo’s. 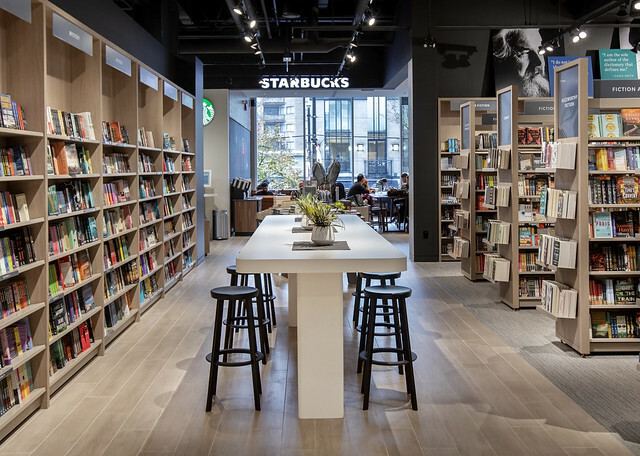 While shopping, those looking to take a break off their feet can grab a seat and a drink inside Indigo’s sparkly new Starbucks or find a communal table to join at the fiction section on the second floor. Indigo also supports our local community through the Indigo Love of Reading Foundation, an organization dedicated to putting books in the hands of Canadian children. Since inception, the Foundation has provided over $29 million to high ­needs elementary schools across Canada, with $3.5 million to BC schools. Welcome back to Robson Street, Indigo! 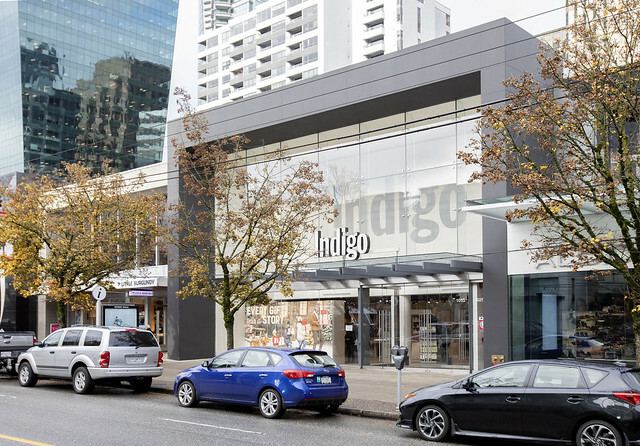 Indigo Robson is located at 1033 Robson Street in Vancouver.